The company is certified according to ISO 9001:2015 norms. 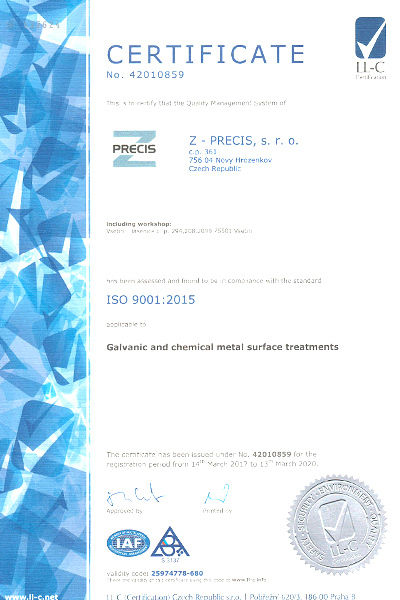 The introduced quality assurance system is systematically maintained and regularly certified by the external certification company LL-C (Certification) Czech Republic. to strengthen the Z-PRECIS brand for rapid response to comments from our customers, including systematic improvement and advancement of services. Management staff assumes personal responsibility for production quality, satisfying customer needs, development and results. 2017 © Z-PRECIS , s.r.o.